On Tuesday, the Crimean delegation discussed with Syrian President Bashar Assad, the Arab Republic’s regular airline establishment with the peninsula and organized business missions, said the co-chair of the Yalta Economic Forum, Andrei Nazarov. Assad met in Damascus with the Crimea delegation on Tuesday, this being the first international flight made by the Crimean delegation. “We say we need to create a mechanism to make it possible to fly directly from Syria to the Crimea and more, however, the Syrian president does not divide the concepts of culture and tourism. He said that culture enriches and that tourism and culture need to move forward in parallel,” Nazarov told reporters. 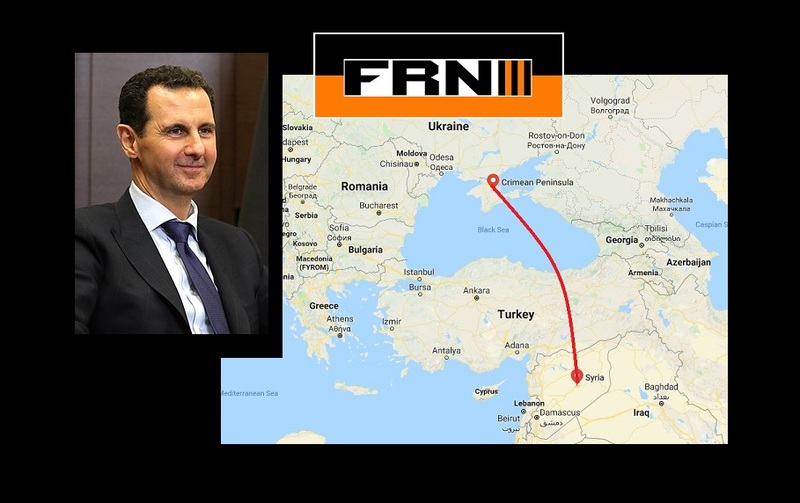 Nazarov pointed out that Bashar Assad also suggested organizing business missions so that people from both Crimea and all of Russia could go peacefully to Syria, adding that the Arab country has many spheres of work and businessmen interested in Russia. Assad stressed the need to regularize visits by Syrian delegations to the Yalta Economic Forum, Nazarov said. The Crimean delegation arrived in Damascus on Monday for a two-day visit to negotiate and sign an agreement on economic and technical-scientific cooperation. This entry was posted in News and politics and tagged direct airline route, Fly from Syria to Crimea, Syria and Crimea, Yalta Economic Forum. Bookmark the permalink.